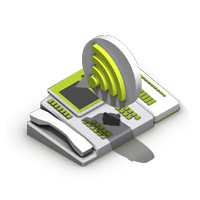 The Hosted PBX service is a fully managed and customisable switchboard solution. There are no upfront costs because you do not need to purchase a physical device and there is no installation fee. The only cost to you for the Hosted Switchboard service is a monthly service rental. One of the key advantages is that extensions can be located either within a single office or at various sites. 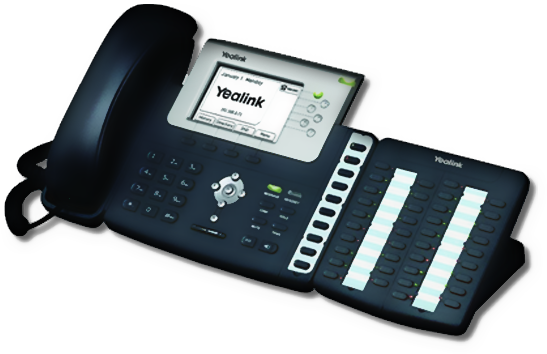 Each extension requires a VoIP-enabled telephone. If you want to work from home for a day, simply unplug your phone from the office network, take it home with you, and plug it in at home; your calls will seamlessly follow your phone and you can still transfer calls to/from your colleagues as you would normally. Incoming calls can hunt across extensions in different cities allowing multiple offices to function as one. Best of all, this service is much cheaper than the cost of purchasing or renting a traditional switchboard despite offering functionality only found on the most advanced traditional switchboards. Free Inter-extension calling and transferring calls between extensions, irrespective of extension location or country.